Planning your next trip to Italy? If you’ve already taken a gondola ride in Venice, posed with the leaning tower of Pisa or just fancy some Italian travel inspiration, then you’re in the right place. The most touristic cities in Italy are painfully crowded in the high season and often still jam-packed in the low season. But don’t panic, here at dealchecker we know of plenty other charming Italian spots that are well worth a visit and won’t be inundated with holiday goers. Below is a selection our favourite alternatives to the tourist hot spots. Done Rome? 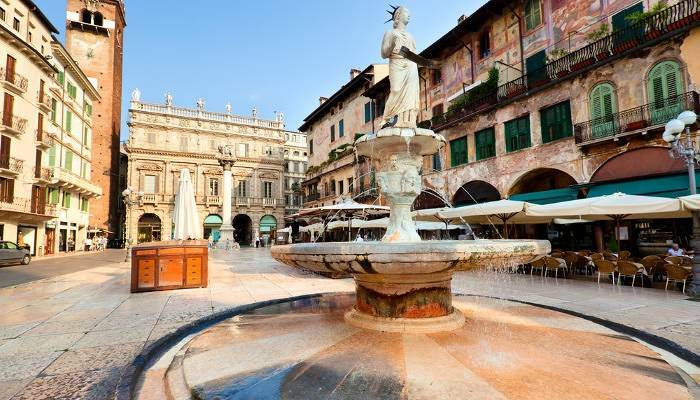 Why not check out Verona – the setting for Shakespeare’s ‘Romeo and Juliet’. Within easy reach of Venice, Milan and the Italian Lakes, Verona is Italy’s beautiful medieval gem. The city was built between the Adige River and boasts a realm of medieval palaces, ancient ruins and elegant churches to explore. Once you’ve got to grips with the history of Verona, don’t forget to grab yourself a bowl of gnocchi in one of the city’s many authentic Italian restaurants. Oh, and make sure you leave enough time to sip on an Aperol Spritz in the city’s largest square, the picturesque Piazza Bra. Whilst you sit back and relax, look out for landmarks like the Verona Arena, originally an amphitheatre, and Verona’s town hall. Insider’s tip: Experience tremendous views of Verona from atop the 84-metre-high Torre dei Lamberti. Lake Como and Lake Garda might receive all the glory, but with that comes all the tourists! Sandwiched between them sits Lake Iseo (rhymes with ‘mayo’) – the one that no one has heard of but might just be the loveliest lake of them all. 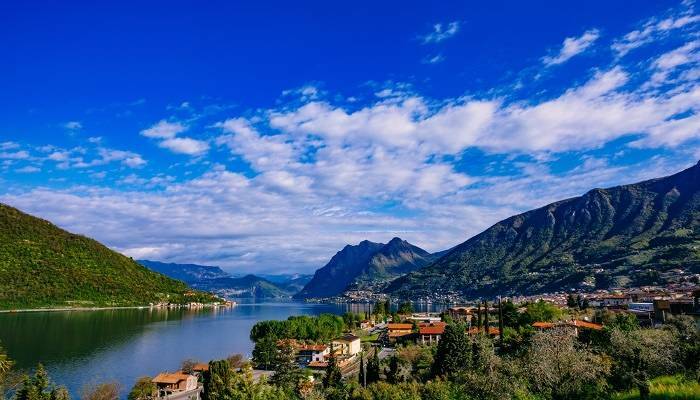 Within easy reach of Bergamo, Milan and Verona airports, Lake Iseo is dotted with pastel-coloured villages and surrounded by soaring mountains. You’ll find the locals relaxing next to the lake soaking up the tranquil atmosphere or having a bite to eat in one of the nearby cafes. A trip around Lake Iseo let’s you unwind in peace without floods of other tourists. Insider’s tip: Be sure to visit the fairytale pretty island of Monte Isola; there are no cars, only a public bus, motorbikes and bicycles. Instead of battling your way through the crowds in Pisa, visit the Italian hill town of San Gimignano in Tuscany. It may not boast a leaning tower, but it is known as the ‘city of beautiful towers’. In its heyday, San Gimignano was home to 72 towers that rose above all the other buildings in the city; 14 still stand today. 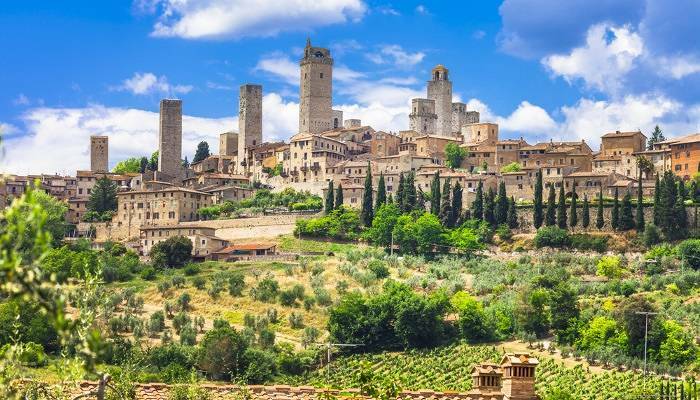 Recognised as a UNESCO World Heritage Site, San Gimignano offers visitors the chance to step back in time whilst sampling local produce such as saffron as well as the town’s inexpensive white wine, Vernaccia di San Gimignano. Insider’s tip: Try saffron ice-cream from the world-famous Gelateria di Piazza. It’s right in the centre of the Piazza della Cisterna. Venice is drowning, not just literally but also under a flood of tourism. 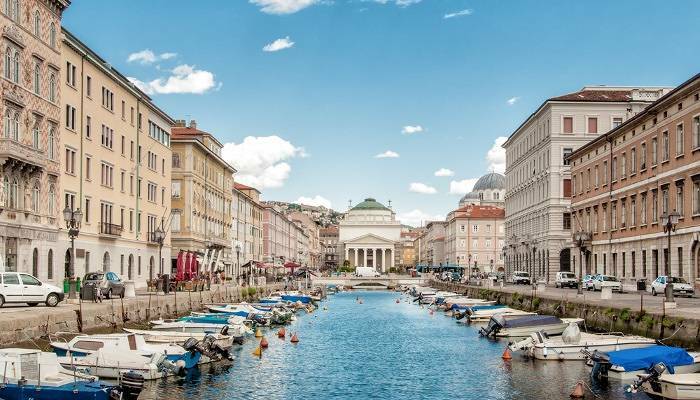 We recommend you escape to the Italian port of Trieste instead. Tucked inside the Slovenian Border, Trieste has an impressive mix of historical buildings, piazzas, museums and stunning seaside locations. Be sure to check out the Roman Theatre of Trieste during your stay and sample some of the local cuisine such as creamy risotto and Caldaia, a traditional dish of boiled pork. Almost the entire city is closed to traffic which means you can meander the picturesque streets until your heart’s content without the worry of mopeds! If you’ve shopped ’til you’ve dropped in Milan, head to Parma, a well-fed and historic town in northern Italy. 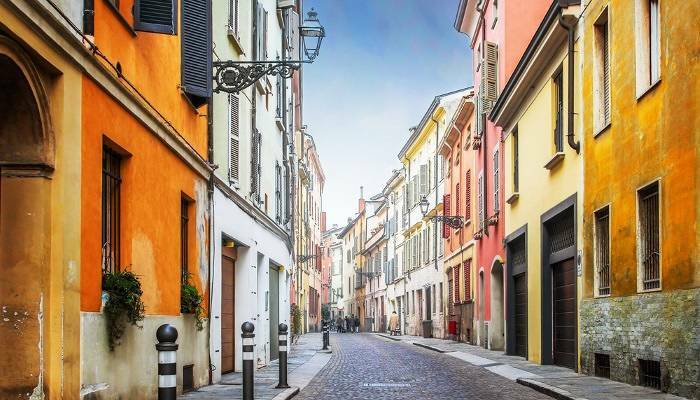 Parma is great for a weekend break full of foodie delights, art galleries, good shopping and colourful streets to explore. Make sure you visit the Teatro Regio, Parma’s theatre, which hosts an array of opera, dance and concert performances all year round. Make sure you’re not planning a diet during your stay here as eating is an important activity in Parma. You’ll come across lots of hearty pasta dishes such as tortelli (pasta parcels filled with seasonal produce) and of course, tons of tasty Parma ham. 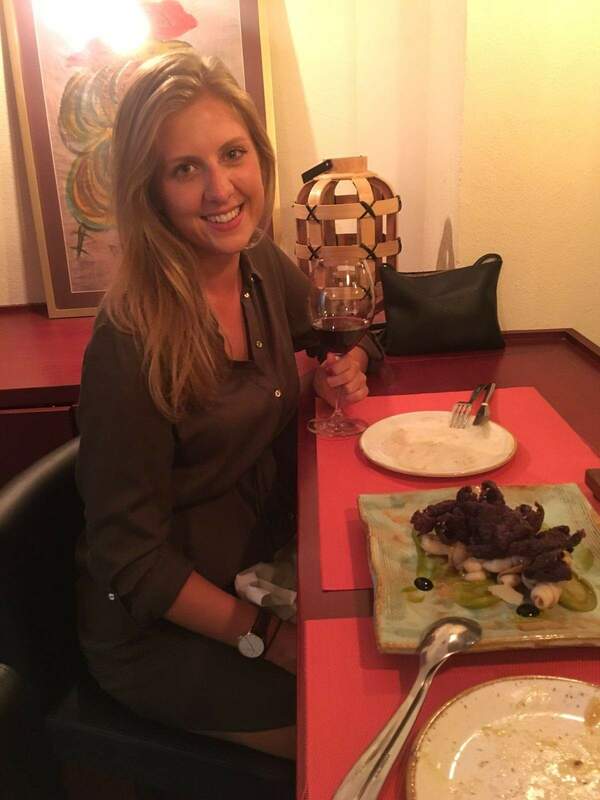 Insider’s tip: Try Parma’s drink of choice Lambrusco – a dry and sparkling, low-alcohol wine. 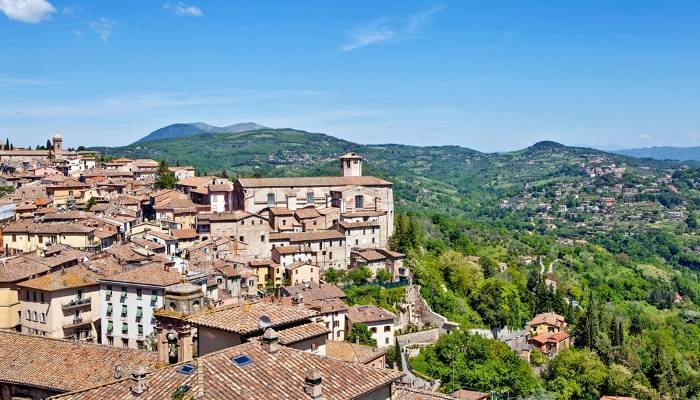 We all love Florence but if you’re after an alternative then we recommend Perugia. Capital of the Umbria region, Perugia is predominantly known for its ancient and defensive walls that surround the town. As it’s perched on a hill, Perugia is great for those who enjoy walking and exploring medieval streets that lead to castles and charming villages. It’s also home to one of Italy’s finest Gothic palaces, the Palazzo dei Priori. Be sure to try out the Whispering Arches at the Piazza Italia. If you and one other stand at diagonal opposite corners of the arches and whisper to each other, you’ll hear the other person loud and clear! Insider’s tip: If you’re planning to visit in July, don’t miss the annual Umbria Jazz Festival! If none of the above float your boat, you can find more Italian travel inspiration on our Sicily, Amalfi and Bergamo holiday pages.